Multiple Interface Options. Fast 250mm/sec Print Speed, Auto Cutter, Compact Stylish Printer. The new Sam4S Giant-100 Thermal Receipt Printer comes in a new compact and trendy design. This model is 30% smaller than standard POS receipt printers and prints a fast 250mm/second. Supports: WEPOS, POSReady2009, Windows XP Pro, Windows Vista, Windows 7, POSReady7, Windows8, Industry8, Linux, Mac, Android. 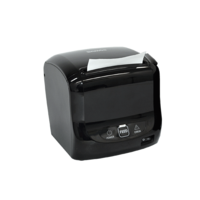 Printer is supplier with a USB cable and the required power supply. Just add paper and you are ready to go!